Fruit, vegetables and mushrooms bought directly from producers. 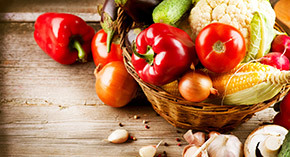 Frozen Food – products of highest quality fruit and vegetables bought directly from producers. They are prepared from cleared, washed fruit and vegetables, preserved through deep freezing. Sorted frozen food undergoes laboratory evaluation each time and is packed in bulk packaging. 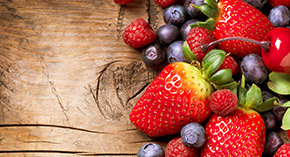 We offer frozen fruit and vegetables of different quality and calibration. The information on our full offer of frozen food is provided by Sales Department. Our special offer are ecological products. We hold BRC Certificate (Grade A). We apply HACCP standards. We offer frozen raspberries, strawberries, black and red currants, sour cherries, gooseberries, plums, chokeberries, blackberries and blueberries. Frozen cauliflower, broccoli, peppers, tomato, leek, onion, rhubarb, Brussels sprouts. 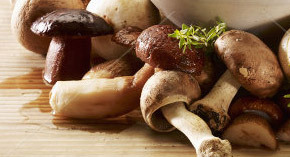 We offer frozen champignon at the moment.